Enjoy the long range mountain view beneath the brilliant blue sky from the second story balcony. Or soak in the warm, bubbly hot tub and gaze up at the star filled skies. Community Areas - Lots of Areas to Explore and Relax. 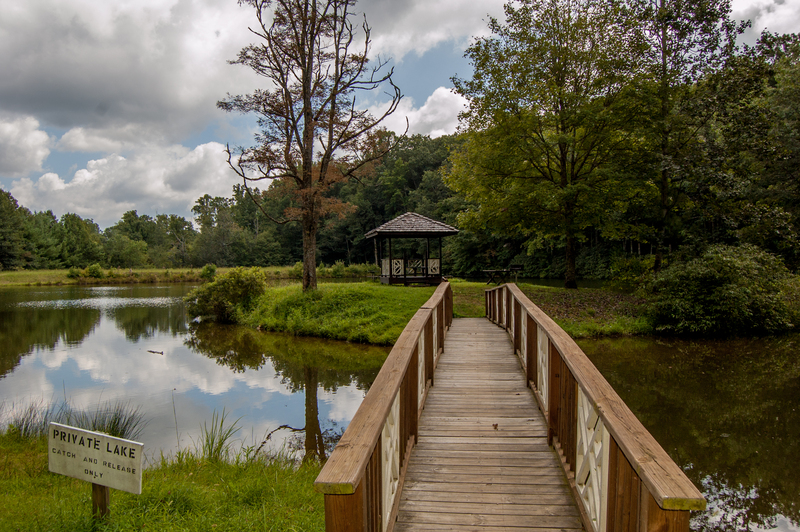 Great walking trail around the pond. Bridge to Gazebo. Catch and release only. 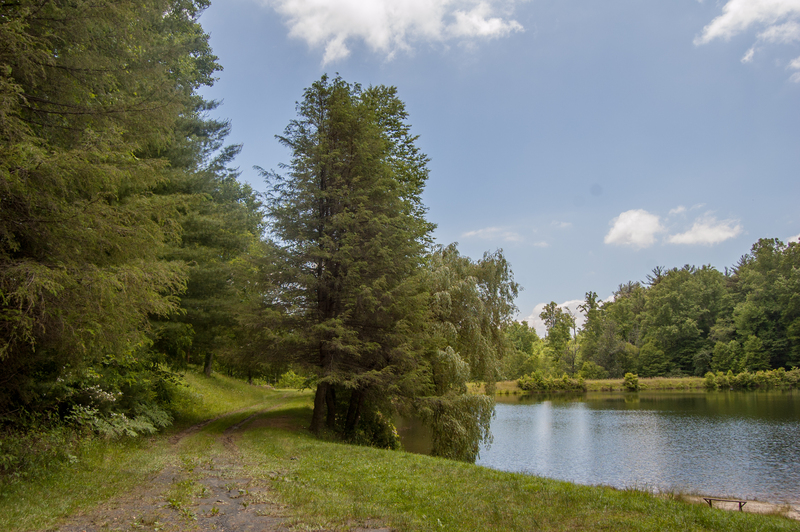 Great area for swimming, fishing, tubing or kayaking. Lots of comfy seating, walk out access to the deck with hot tub. Views from all around! Updated kitchen with stainless appliances. Long Range Layered Views All Around! You'll love how the light spills in through the entire wall of windows as you look straight out at the Blue Ridge Mountains from this rustic style chalet. 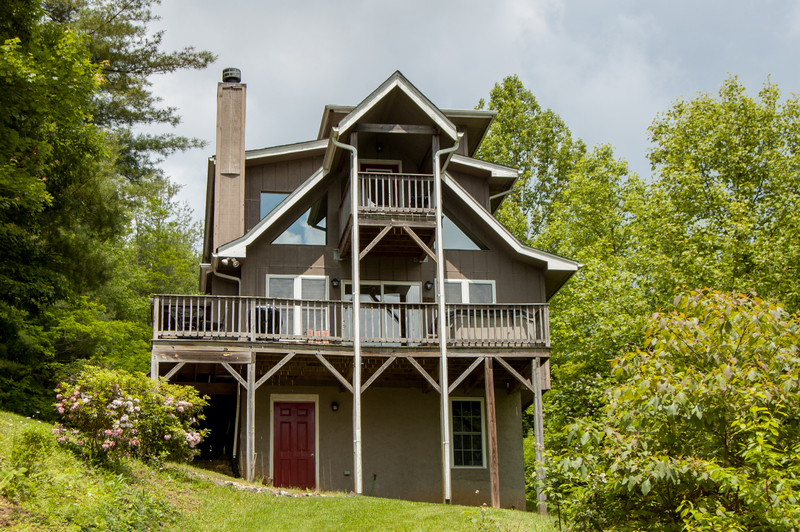 Located conveniently between West Jefferson and Boone this home offers a variety of outdoor activities within minutes of your door step. 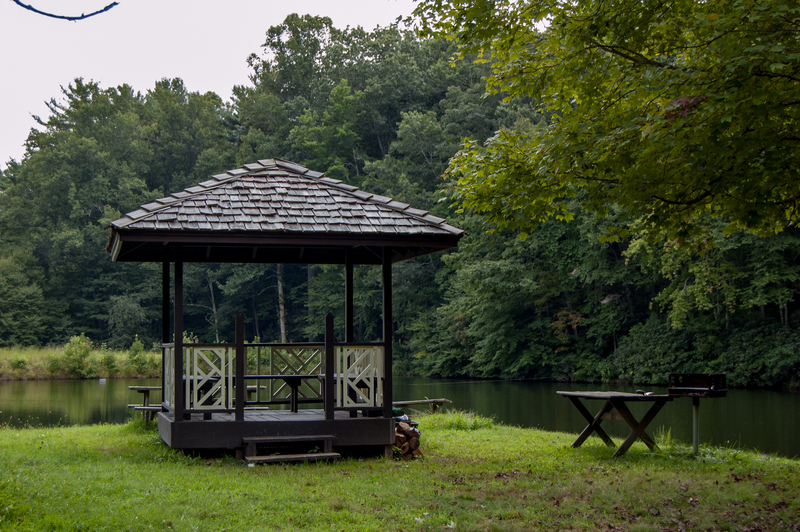 Enjoy community lake access with picturesque walking trail, gazebo, picnic tables and grilling station. 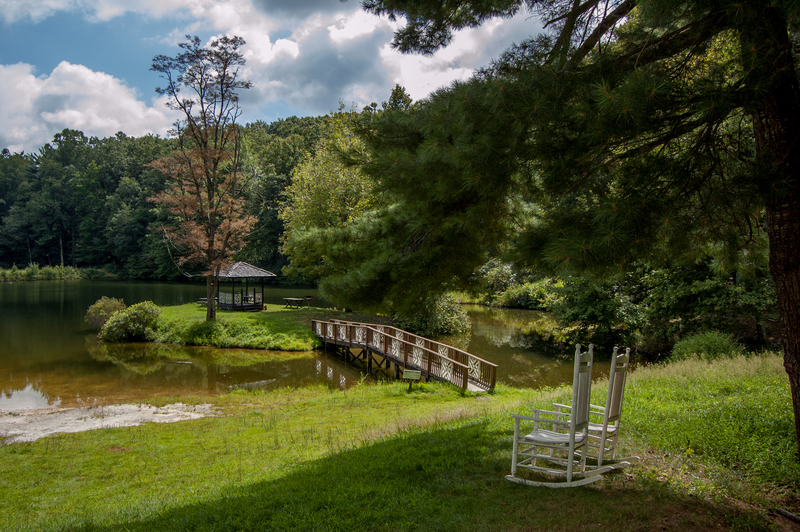 Bring your own kayak or canoe and enjoy a paddle around the lake, a leisure float down the New River or test your fishing skills, the New River is only minutes away and public access is available for vacationers. And don't worry if you don't want to bring your own boat or rod, rentals and all the necessary information are available at nearby Rivergirl Fishing. 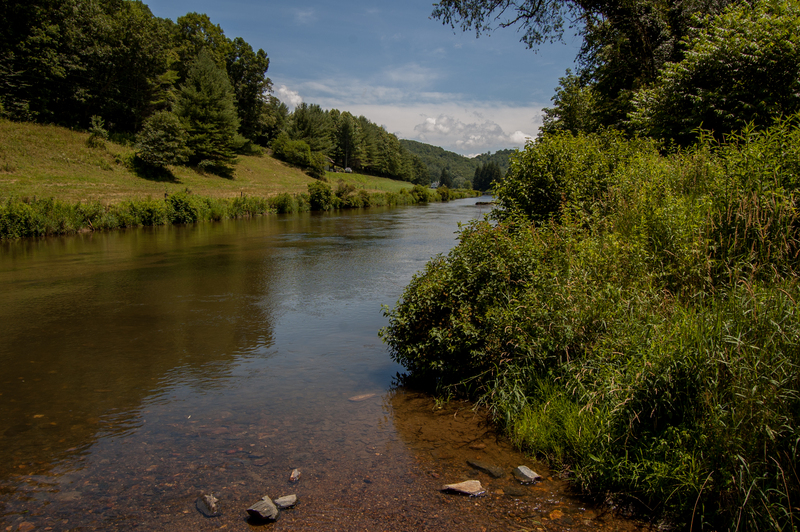 For the bicycle enthusiast in the family "The Crow's Nest" is also located off scenic Railroad Grade Road, a popular bike route that meanders alongside the New River from Fleetwood to Todd. You can also take a leisurely hike to the community falls. There are countless activities close by to enjoy nature at its best. Inside this comfortable chalet the feeling is open and bright. The living, kitchen and dining rooms flow together in one smooth, spacious area with the living area offering a gas burning fireplace and sleeper sofa and the kitchen all the comforts of home. Off the combination kitchen / dining you'll find an open deck with additional dining and lounging space, a charcoal grill and hot tub where you can soak in the warm, bubbly water and gaze up at the star filled skies. The main level also offers one bedroom with double size bed and separate full size bath. Head up the spiral staircase to the second floor and you'll find the master bedroom with lush king size bed and private full bath. On this level you'll also find a separate loft area with double size futon, gaming table and access to the covered balcony where you can enjoy the long range mountain views beneath the brilliant blue skies. From here the spiral staircase continues to "The Crow's Nest" where you will love the glass walls and extra bedroom with twin size trundle bed that easily converts to a queen size bed. Take pleasure in dawn to dark fun in this remarkable 3 bedroom, 2 bath rustic style chalet. Kayak or canoe or fish, go hiking or biking?it's up to you. Your blissful mountain retreat is waiting. 20 miles to Boone, 10 miles to West Jefferson and 10 miles to Todd. "It was the best I rented it for my wife for Valentine’s Day and she absolutely loved I would like to say I’ll shall return again "
"My rental experience was exceptionally well. The house had plenty of parking & ample room for six people. The kitchen was well equipped to prepare big meals. The drive into the community was pretty but the one-way road and signage was a little tricky...especially for night driving. House was well kept & clean except for the floors needed to be moped. Overall experience was wonderful & would certainly recommend Crows Nest." "A nice escape from daily life"
"I took my family of four for a short weekend trip to the mountains to celebrate my sons birthday. We stayed at the Crow's Nest in Fleetwood, NC. When we walked in we were in awe of the view from the back porch. The bedrooms were plenty large enough and the house had every amenity we needed to make our stay comfortable. The house was very clean upon our arrival.I would recommend this location to anyone. " "Idyllic place with great views. Will definitely go back and bring extended family!! It needs more A/C in more rooms for summer visits. A/C in upstairs bedroom did not work but that has most comfy bed. Great area! Loved people and cabins of Gap Trail!! Want to live there!!" "The house was nice and clean.But it had no air conditioner.Only 2 window units in the 2 bedrooms and they still didnt cool very was a good thing it wasnt very hot that weekend." "This was a wonderful vacation for our family. The house was well equipped with everything we needed. The view was magnificent. Plenty of space for all of us. Quiet evenings with the family and the hot tub. The only thing that we had in issue with is the air was not on and we were not able to get to have that cut on for us. I called and they immediately returned my call and had a maintenance guy early the next morning installing two window units to help. I loved the help in a timely manner. I know it was unseasonably warm early this year but I would suggest maybe that the owners could have the air on by at least Mother's day in case the weather warms up early again. All and all the vacation was wonderful and would love to rent again if we stay in that area. " "The unit makes good use of the space and the multiple decks are nice as well as the spiral staircase. Only drawback was the cover to the hot tub is old and frayed. We struggled mightily to flip it up and open and when we finally did it was twice as hard too close, it was frustrating enough that we didnt use it anywhere near as much as we wouldve liked to. We enjoyed the rest of the accommodations but dealing with that cover was quite frustrating. I would stay there again but would have to make sure the hot tub cover has been replaced"
"Beautiful place to stay. Highly recommend . Everything was there to make our stay enjoyable . " "My family visited this location for a "Girls weekend". The Crows Nest was a beautiful house away from it all. You are totally secluded from the other neighbors with breath-taking views. The house was immaculate and nicely decorated. If your looking for a little antiquing, West Jefferson was a perfect destination and is only 10 minutes away. The only things that I would have liked to have known beforehand is the road leading to the crowd nest was difficult to navigate, however, we were able to figure it out. " "Our family of 5 adults spent a week at Crow's Nest in early August. It was a repeat visit, as we love the view and the home is in our favorite community, Fleetwood Falls. It has everything you need so no lugging linens, etc. Laundry service makes check out easy. " 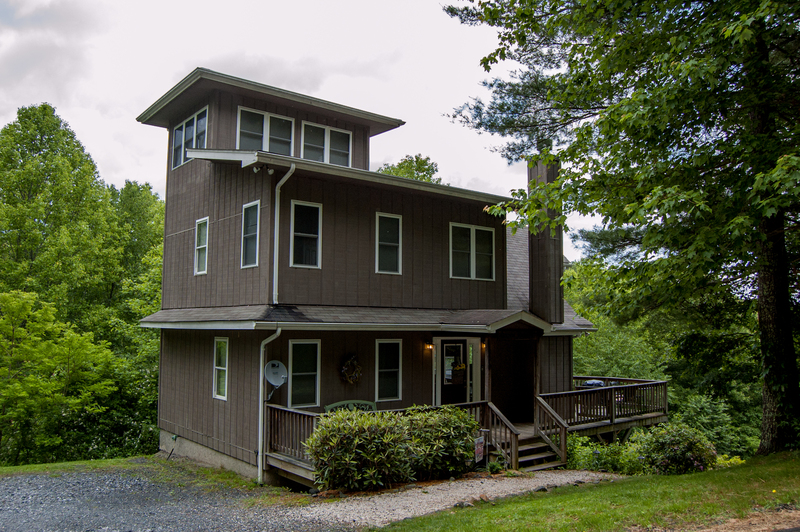 "Crow's Nest was a great rental for our family trip to North Carolina to attend Merlefest in Wilkesboro. The house was clean, well-equipped, and comfortable. The weather was perfect while we were there so we were able to enjoy the outdoor decks and the beautiful view of the mountains! My adult children also enjoyed a couple of clear, beautiful nights in the hot tub. " "My wife and I thoroughly enjoyed our 3 night stay at the Crow's Nest. The cottage was quaint and cozy while still providing ample space. The house was very well kept and clean and the mattress in the master bedroom was so comfortable. We will definitely be stay with Ashe High Country in the future." "LOVED everything about this adorable home!! Hope to go again!" "The owners of this property totally have you covered. Everything was furnished for a wonderful stay. Only thing that I would possibly is a gas grill. The view was spectacular "
"Crows Neat was absolutely GORGEOUS. We had such a fantastic weekend. This was the perfect house and very comfortable. The views are amazing and the drive to the house is even better. We can't praise this house enough, you have to check it out. We will definitely be back! The realty company was so easy to work with and really set this trip up for success from the very start. Being so close to the Blue Ridge Parkway, Boone AND West Jefferson was more than we could ask for. Fleetwood was beautiful. We will be back! " Thank you for your response. We are glad that you had a fantastic weekend! It's almost time to come back and get your mountain Christmas tree on choose and cut Opening Day 11-26-2016! Thank you for staying with us and we hope to see you soon! "House was great, it has everything! Very comfortable and cozy. House is location is in a Subdivision, the only downfall- my boys weren't able to ride their 4 wheelers. Great view from the top of the mountain. " Thank you for your response. We are glad that you had a nice vacation. Thank you for staying with us! "My family and I stayed during the 4th of July timeframe and loved it. The views were as described and the location made access to Boone or Blue Ridge Parkway very easy. " "House was excellent. A little far from Boone. No bathroom on third floor." "This place is all we expected and more. The house was warm Ann cozy and the views were amazing. Convienent to all the attractions but yet far enough away to seem a million miles away from everything "
"Great weekend snowed 7 inches only it as night before we had to leave... Rental was very clean and well kept "
"We rented this house to be with family to celebrate a 50th wedding anniversary and Thanksgiving holiday. Our parents own in the neighborhood and it was nice to be able to walk between the two houses. The home is in good condition, the hot tub was nice to enjoy. The third bedroom listed is good for kids, but not really appropriate for a couple. The views are amazing and watching the sunrise was a treat! We liked that it was dog friendly as well! " "When looking at the pictures of this home, it already looks great. It seems like the perfect getaway but let me tell you the pictures are nothing like the actual place! When we got there I was so amazed at how beautiful it was, I couldn't believe how much better it looked in person. Me and my family enjoyed every minute of being in the house and we loved the view! Watching the sunset was awesome! I am definitely going to come back again!" "The house was perfect for my family of 5. The house was very clean and well stocked. 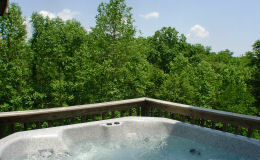 The views are as advertised , and the hot tub was a big hit with the grandkids." "Our family of four adults loved our stay at Crow's Nest. 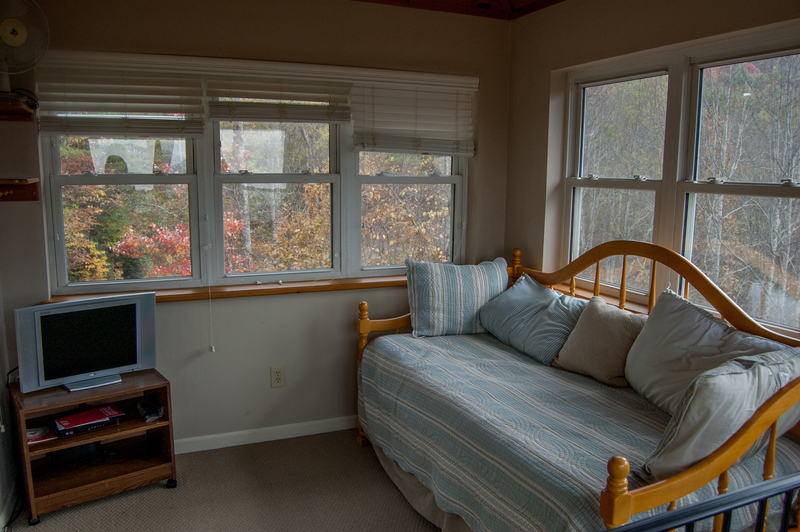 We've been vacationing at Fleetwood Falls for over 20 years, and Crow's Nest is in the top 5 rentals we've had. The hot tub is a great place to relax after an active day and look at the stars if it's a clear night. We'll definitely return." "Amazing view..Beautiful cabin.. Great customer service.. Best place to stay!" "Our stay at this chalet was wonderful and relaxing. We loved the view from the main deck and upper deck as well. The chalet is located in a nice subdivision but tucked away all the way at the end of a road where it was isolated and private. We loved using the hot tub every night and the chalet was in great condition. We are ready to go back and experience it again. 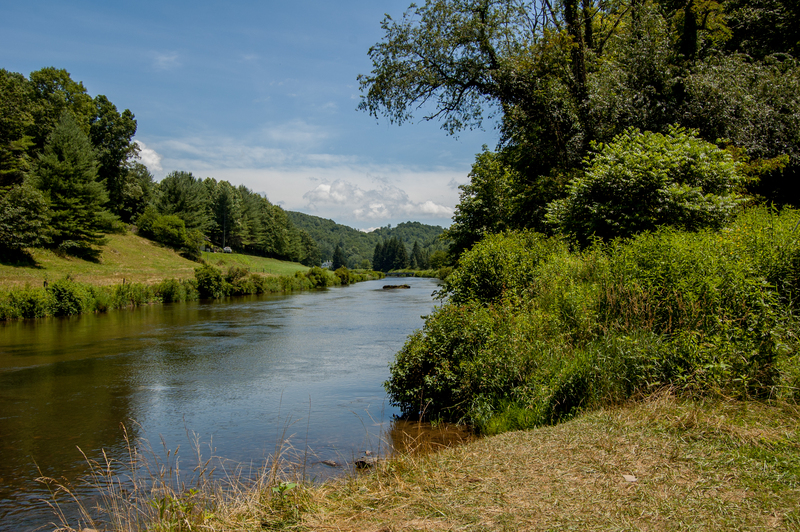 We also loved hiking to Fleetwood Falls, spending time in the river watching the people fly fishing and going to all the nearby sites in Boone, Valle Crucis, Banner Elk and Grandfather Mountain." "The house was gorgeous we really enjoyed our stay, we will be visiting again for a longer stay. " "My husband recently came home from a year deployment, so we stayed here at the Crows Nest for a week to reconnect and relax and had a fantastic time! The view was gorgeous, the cabin is a little more private than the others on the mountain top so that was nice, and it was relaxing to be able to enjoy the hot tub each evening under the stars." 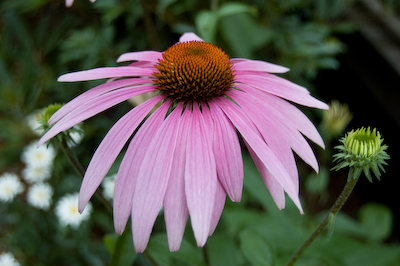 "All went great with my experience there was only one hiccup. When we arrive (after a recent snow) the drive way was covered in snow. I called before I arrive inquiring about the roads, safety, ect and was told that the roads to this cabin were usually clear but they had someone out there checking and scraping the roads as needed. As I was told, the roads were excellent and I had no problems! However the drive way had not been touched and we were forced to park 3 vehicles on 6 inches of snow (there was no other options to park.) This caused us to get stuck and having to call a tow truck to help up get out. This was the only sour note to the weekend so overall a great experience. The house was clean, had everything we needed (kitchen wise) and was a cute place to stay. " "Went with a group of friends and family 6 of us total. We had a wonderful time hanging out in the hot tub, sitting on the deck watching the sunrise and the peace and quite that this house provided. We would definitely recommend this place to other friends and family." "Very good, enjoyed the quiet. " "Our family owned a home in Fleetwood Falls for many years, but it had been a long time since we were all there to visit. We had a wonderful trip down memory lane! We can't wait to come back!" "Nice property and great location. Would stay again." "It was a little difficult to find but I would 100% go back again. It was nice we didn't have to check in anywhere and could go straight there. It was clean and even more beautiful than the pictures." "I am familiar with the area as I have lived in Boone for 10 years it is off the beaten path which is what you want in the mountains. Only a 20 minute drive, a nice quiet place"
"My family and I had a great vacation. The Crows Nest was very nice and neat. It was very clean and everyone enjoyed our time there very much. No complaints about anything. " "Our agent was very professional and super nice. The unit was very clean and fully furnished. Beds were comfortable. Check in book explains everything and answered any and all our questions. Perfect spot for couples or family and friends. We look forward to renting this one again." "Clean, relaxing and exactly what we wanted. We felt instantly relaxed upon arrival and thoroughly enjoyed the weekend. We can't wait to get back. The cabin very comfortably fits two couples, but might be tight for three unless you are family or very close. " "What a wonderful time we had! Everything was clean, had all the things we needed to cook and serve a large Thanksgiving dinner. The views were fantastic. The Hot Tub was wonderful to come back to after a long day of shopping. One area of improvement would be better directions to the cabin, DO NOT TRUST YOUR GPS. It was an adventure finding the cabin in the dark. It also may be time to update the main level mattress, and definitely the pull out sofa bed. The management company was very laid back, and good to deal with. Jorrita was very quick to return our phone calls. Thanks for the WONDERFUL place to stay." "Check on the fly situation! We killed at least 20 in the home and there were still more buzzing around. " It's that time of year, it gets colder and everything wants to come inside. We're treating properties to try to prevent them from coming in. 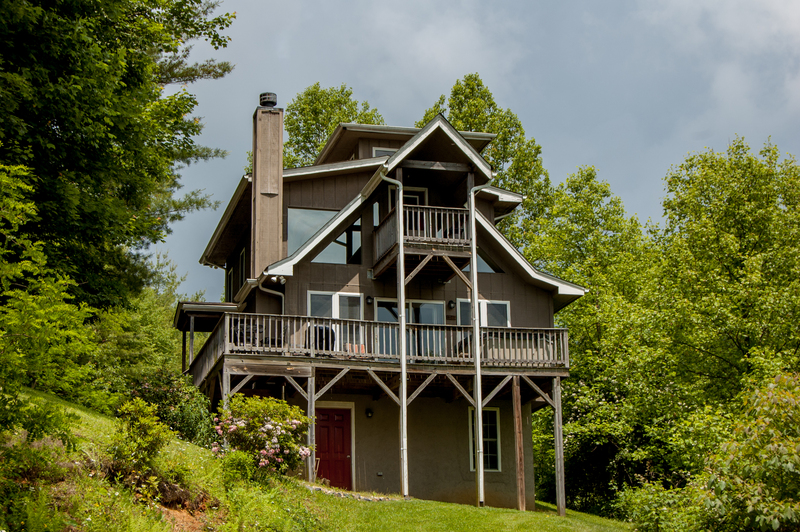 "This is the second time renting from Ashe High Country Vacations. Loved it. Everything was great, with a great view and relaxing weekend." "This is a great place with a great view!" "We had a great weekend!" "Everything was great. A map of the community would have been helpful." "We loved our stay at Crows Nest. Only thing we did not enjoy was the drive up to the property. The streets are confusing and not very well labeled. It snowed one day and that was scary to drive through. Also about 7-8 miles from any kind of store or place to get food so come well prepared.The cozy fireplace gave out on us a day before we left. Im not sure if it ran out of propane? Everything else was perfect." "It was very nice. Thanks." "The Crows Nest was awesome! My new bride and I enjoyed every minute. This is a great place to go and relax in the hot tub with an amazing view. Fleetwood is secluded (which is what we wanted) but is only a few minutes to West Jefferson or Boone. " "Beautiful view. Very nice and clean property. Jerita was very polite, professional, and efficient. The dryer was broke. Could use a blower on the gas logs. Absolutelutely loved it and would love to stay again. We had a fantastic time." "Wonderful stay... will book again!" "We had a great time. It snowed while we were there, which made the stay even better. The roads coming down in the snow were a little tricky but we made it. House had an awsome view. Overall the stay was great." "The cabin was well equipped, comfortable, cozy, and very clean and fresh. Our expectations were surpassed from the photos we had seen. We loved the privacy, mountain view, especially the sunrise, and enjoyed the moon-lit nights from the bubbling and soothing warm water of the hot tub(ahhhhh). After a full day of touring the area, we looked forward to a quiet dinner-for-two by the crackling fire. Plus the rental agency was easy to work with and very quick to respond to our inquiry. The only quirk we found was the small shower in the master bathroom (and I'm petite), but that was resolved by using the main bath downstairs. There is a spiral staircase leading up to the master which may be difficult for some but we didn't have trouble at 60+ years. We also couldn't access local channels to get weather reports (didn't have a laptop with us), but resolved that by turning on the radio. Overall, you won't be disappointed in this rental. " "Family and friends thoroughly enjoyed our stay in the NW mtns of NC. We fished, kayaked, biked and ate ourselves through the week. Love the cheese from the Ashe Co. Cheese Factory!" "We really enjoyed our stay at Crows Nest! Our two boys loved the 3rd floor "nest"! The mountain views were great and the peace and quiet was awesome! On the down side, there was only a small area of road for the boys to ride their bikes on close to the house and we had to drive to the pond to fish, but even that was a fun adventure! We hope to go back again sometime!" 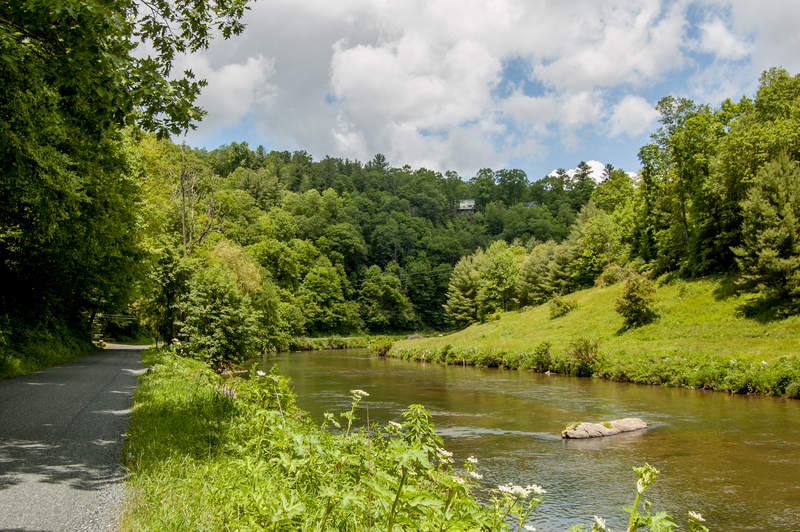 The property is located off Railroad Grade Rd, a 10 mile strecth along the New River that is great for biking. You do have to drive 3 or 4 minutes to the parking area on the river but the easy bike ride along the river is totally worth it. Railroad Grade Rd is a popular cyclist route. 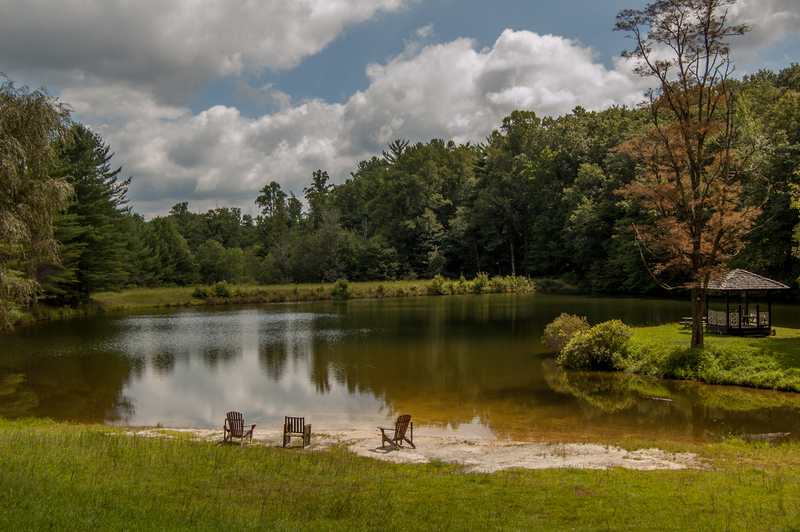 Most properties in this community are within a short 5 minute or less drive to the community stocked fishing lake or common area access on the New River. "Our stay at Crow's Nest in Fleetwood Falls was everything we expected and more. Beautiful scenery, quiet, private, yet accessible to neighbors and within reach of outstanding scenery, hikes, and many interesting sites. 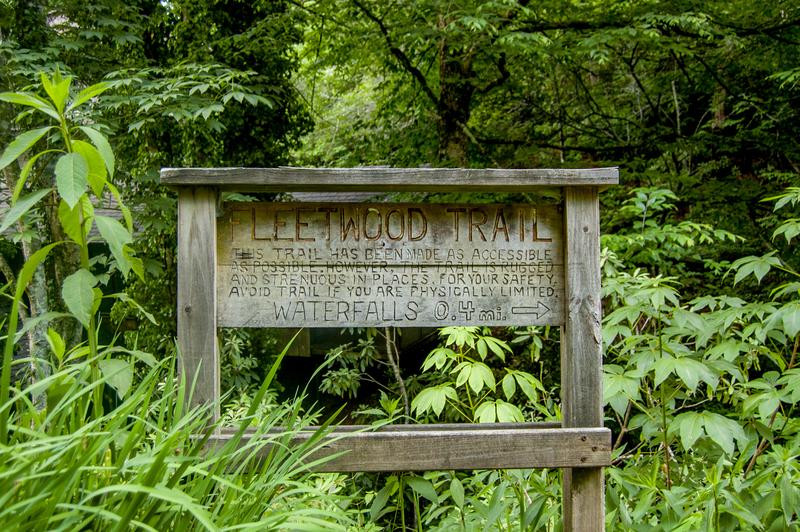 "Fleetwood Falls is great. Crows Nest is a unique home with plenty of parking and lots of privacy. It's a little too far to walk to the lake but it's an easy drive. " "Perfect location with beautiful long range views and no traffic. Ideal for walking, resting and reading on the porch. People living in Fleetwood Falls are very friendly. Will definitely go back to the Crow's Nest." "Our family stayed in the Crows Nest for our daughter's graduation from App State. We had a wonderful time in the cabin. The views are spectacular and the layout/floorplan is exceptional. We would stay there again without hesitation!!" "We had a wonderfully relaxing and beautiful New Year's weekend at Crows Nest. We opened 2012 in a hot tub with good friends, scenic views and a little bubbly... Hope that's a sign of what's to come this year!!!" "We had a wonderful Christmas at the Crows Nest. Great views. " "We had a great time at the Crow's Nest. The cabin was cozy and very clean! We found everything we needed in the cabin from bath towels and pillows to pots and pans and wine glasses. The view from the top floor is great as is the view from the deck. Unfortunately, it was too cold on our trip to do much outside (the hot tub never really got hot enough to use in 30 degree weather), but we had a great time relaxing indoors. I would definitely recommend this property." "We had a wonderful stay. Perfect for two couples or a family. Plan on renting again"
"The pictures of the property were very accurate. It was a very nice place. We liked it very much. The view was excellent. When my husband returns from overseas I'm going to bring him down. " "We all enjoyed our stay in the Crow's Nest, including all three generations! The staff and owners were very helpful when we had questions about the fireplace and internet connection. Great views and close to so much to do! "My family enjoyed our stay at the Crow's Nest. Everything was quite nice and clean. Our granddaughters and guests enjoyed the hot tub! We would use this chalet again. " 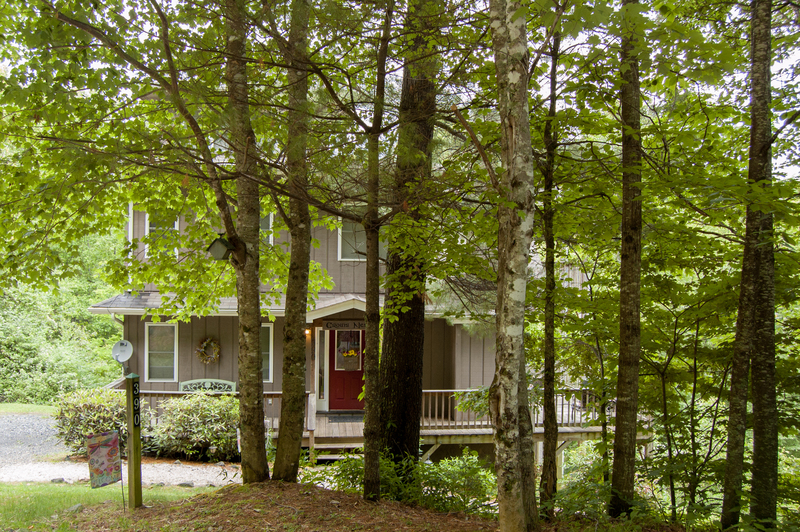 "This is the first time renting property in the High Country after finishing school at ASU, and this property made me feel right at home once again. 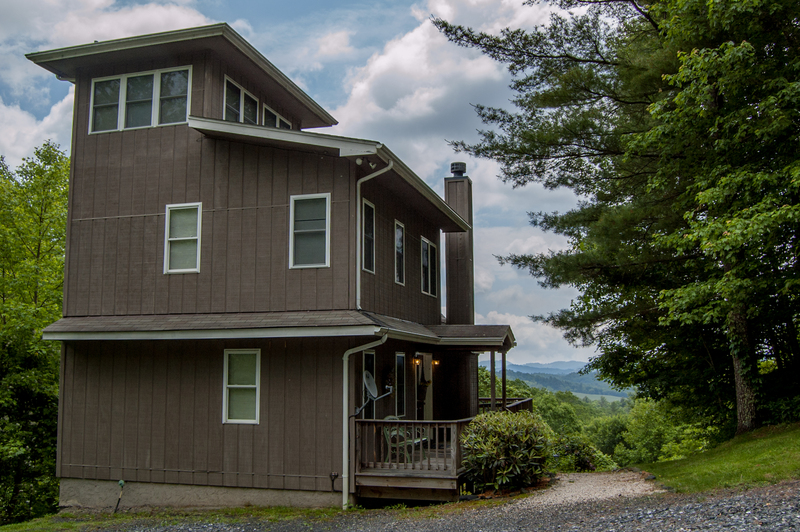 Beautiful views, privacy from neighbors, yet close enough to Boone where getting to town is a not a hassle. Would definitely rent this property again."